This, in a nutshell, is the central problem in the theory of art. It has fascinated philosophers from Plato to Wittgenstein. And it fascinates artists and art historians, who have always drawn extensively on philosophical ideas about language and representation, and on ideas about vision and the visible world that have deep philosophical roots. John Hyman’s The Objective Eye is a radical treatment of this problem, deeply informed by the history of philosophy and science, but entirely fresh. The questions tackled here are fundamental ones: Is our experience of color an illusion? How does the metaphysical status of colors differ from that of shapes? What is the difference between a picture and a written text? Why are some pictures said to be more realistic than others? Is it because they are especially truthful or, on the contrary, because they deceive the eye? The Objective Eye explores the fundamental concepts we use constantly in our most innocent thoughts and conversations about art, as well as in the most sophisticated art theory. The book progresses from pure philosophy to applied philosophy and ranges from the metaphysics of color to Renaissance perspective, from anatomy in ancient Greece to impressionism in nineteenth-century France. Philosophers, art historians, and students of the arts will find The Objective Eye challenging and absorbing. 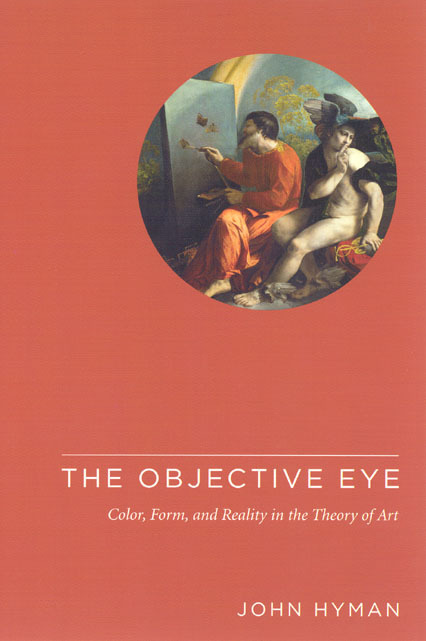 "[The Objective Eye] scrupulously dissects the various myths and confusions surrounding the concept of depiction, with the aim of rehabilitating realism as ’one kind of excellence in art.’ Against the misgivings of sophisticates, it champions what it sees as the natural, pre-theoretical stance of artists themselves. . . . The concept of modality is Hyman’s most important innovation. It opens up the fascinating prospect of a cross-cultural history of pictorial representation, freed from dependence upon the psychology of illusion. Historians of art -- take note." "One of the many virtues of Hyman’s book is that it provides a sustained, rigorous and devastating critique of such subjectivism, and a carefully nuanced defence of his own version of objectivism. . . . The rigorous clarity and elegant concision of Hyman’s writing--literary virtues to which the best analytical philosophy has always aspired--carry his reader through even the most challenging sections. No one will come away from his book without having learned a great deal about one of the most familiar mysteries of human culture."